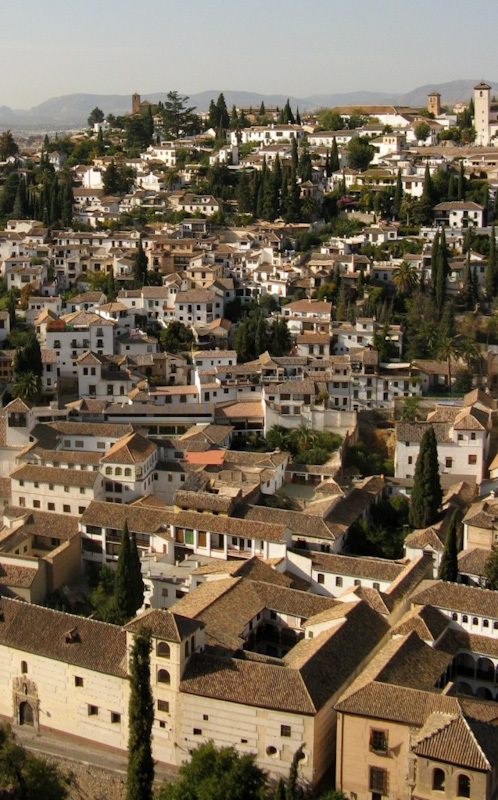 Andalusia is considered the poorest and the least developed part of Spain. Take a look from another point of view. It is by far the most sunny part of Spain and time is running much slower compared to the other parts of Iberian peninsula. Our adventure begins as we drive into the reserve of Cabo de Gata. The landscape is a wild semi-desert with occasional small villages spread around. While approaching the south-eastern tip of Spain we come across a surprise. Due to yesterday’s heavy rain the road becomes impassable. A tiny seasonal stream flowing under the road turns into a turbulent river which floods the road. We have to wait overnight for the unusual phenomenon to ease off. 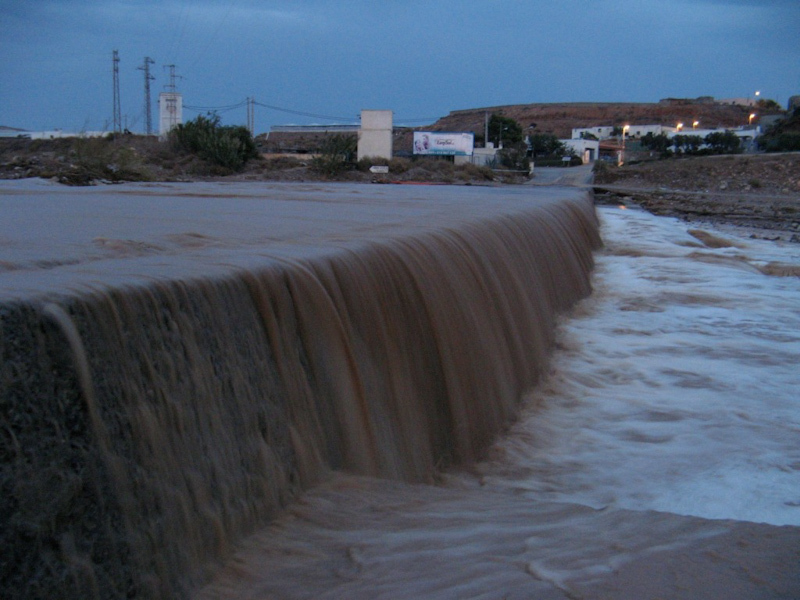 In the morning we head towards Las Negras. It is a small village where besides modest houses of indigenous people are located far more sumptuous residences of retired immigrants. We head to the walking trail. The picturesque bay with ruins of Arab houses and beautiful rocky coastline appear in sight. A narrow path along the steep Mediterranean coast leads to some desolate places. 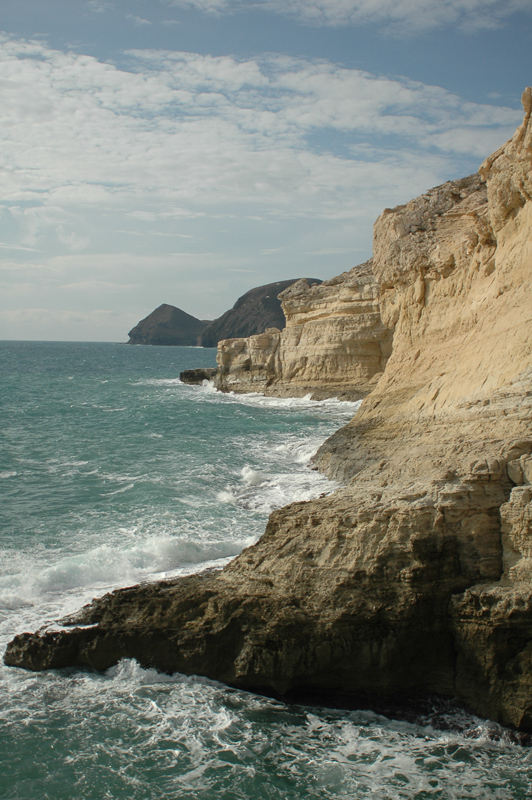 We spent several hours walking around the nooks of the Cabo de Gata, late in the afternoon we move on southwards. Located on the Costa de la Luz, the cape of Punta Tarifa is the southernmost point of continental Europe. From here you can see the coast of Africa located just thirteen kilometers south . We take a sit in a beach surfbar. A colorful table, wooden framework, the lazily overcast sun-protecting mat and a laid-back atmosphere make the time stop. We reach the city of Tarifa to see all the shops, crowds of people and experience problems with parking the car and moving along one-way streets. The decision to run away comes very quickly. Some three miles west, just behind the Valdavaqueros beach we find a perfect wild spot to stay. This is a decent piece land right on the sandy beach, a part of the nature reserve, therefore undeveloped. We meet a lot of contemporary nomads. No electricity, no running water, no anything, however this is a place of a great charm. We have the ocean and the good company. And so a week goes by. I drop off Mati and Marta at the Malaga airport and along with Isabelle, a Belgian friend, I go to the north. On the way we visit the famous Alhama de Granada. Baños Arabes is complex of natural hot springs arranged into water streams and swimming pools. 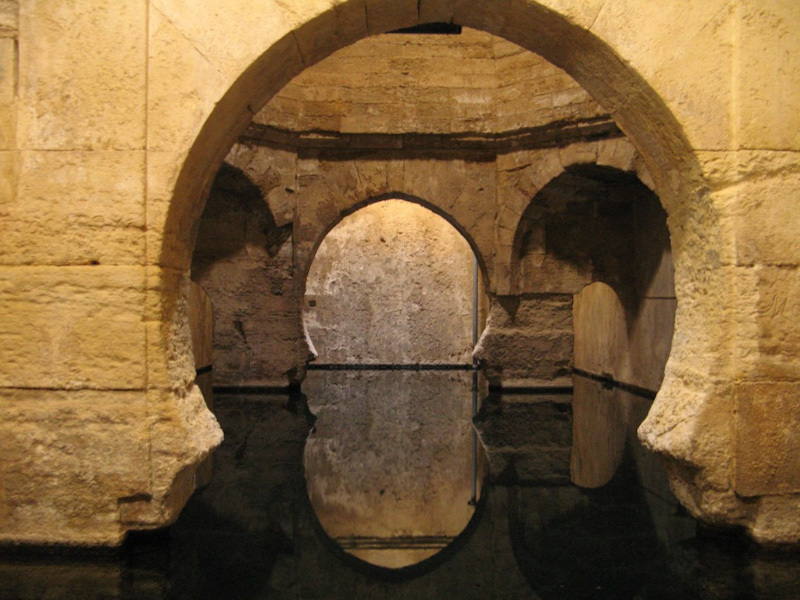 The springs were discovered by the Arabs as early as in the thirteenth century. Located at 850 meters above sea level, it was once a synagogue and a bathing complex, nowadays it serves as an upscale hotel and wellness center using the healing properties of water. Courtesy of a female employee in the hotel, during siesta time we visit old baths (which are still in use) and a natural Jacuzzi. Just off this commercial property there is a public natural spring that fills several pools fenced with stones with water at the temperature of 104 degrees Fahrenheit. After several hours in the water manage to wait through the last old man in white pants blocking access to the closest pool to the water flow. My skin already looks like the skin of a flabby 95-year-old. Granada is with no doubt the worst city to go around by car. On the top of the traditional traffic problems there are also numerous roadwork, one-way streets, traffic reorganizations, dozens of intersections, hundreds of cars and thousands of pedestrians. Someone who have survived riding a car in Granada would survive everything. After severe difficulties we park our car on Calle de Gran Capitan. Till late night we walk around the city’s parks and squares. 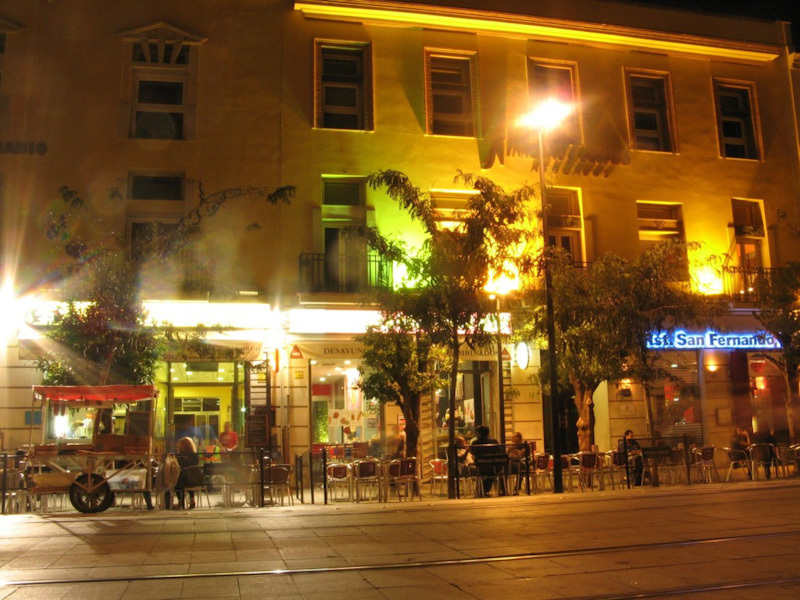 There is both a bit of bustling nightlife and calm talking at the Plaza de Trinidad. We visit the night Arab market and soon we get lost in the narrow alleys. I admire stalls squeezed next to each other offering shesha water pipe, colorful fabrics, fresh tanned leathers and various souvenirs. From morning on Isabelle keeps on influencing me to visit La Alhambra. Usually I am a bit skeptical about visiting overadvertised tourist sights, however her last argument seems to be convincing ‘It’s something you need to see once in your life’. Let’s go then. I try no to be discouraged by horrendously expensive parking lot, long lines at the ticket offices and even longer line at the entrance. 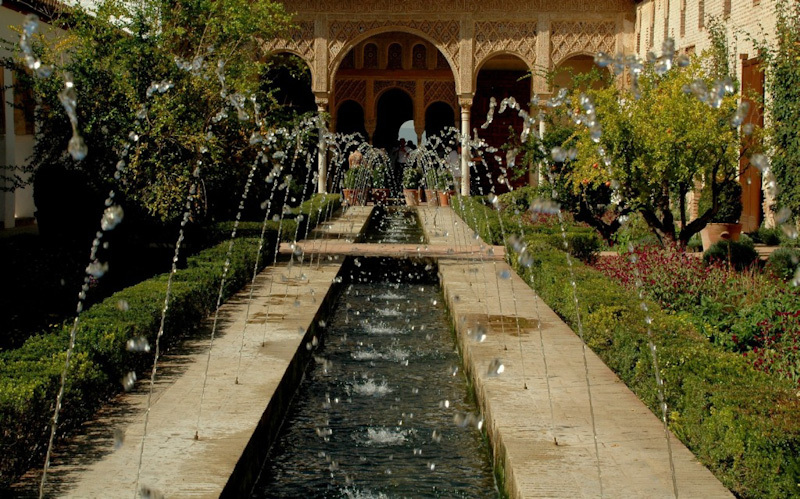 Simply speaking, La Alhambra is a huge palace complex of Arab origin. Around there is a lot of tidy gardens planted with exotic, colorful flowers. Neatly trimmed hedges shade the narrow passages between the squares. Everything is animated by fountains artistically fit into the scenery. We walk across gardens Jardines de Secano and Jardines del portal. We visit the Palacio del Generalife. Torre de la Vela is an excellent viewpoint on the old part of town. Unfortunately we have to wait the entire five hours for the admission to Palacios Nazaríes! (If only I had known this before…). No matter how gorgeous would the site be, it’s hard to believe it is worth the wait and twice the entrance fee. The area of strict protection covers hand-carved facades. The interior walls are sculptured from the very bottom up to the ceiling a dozen or so meters up. 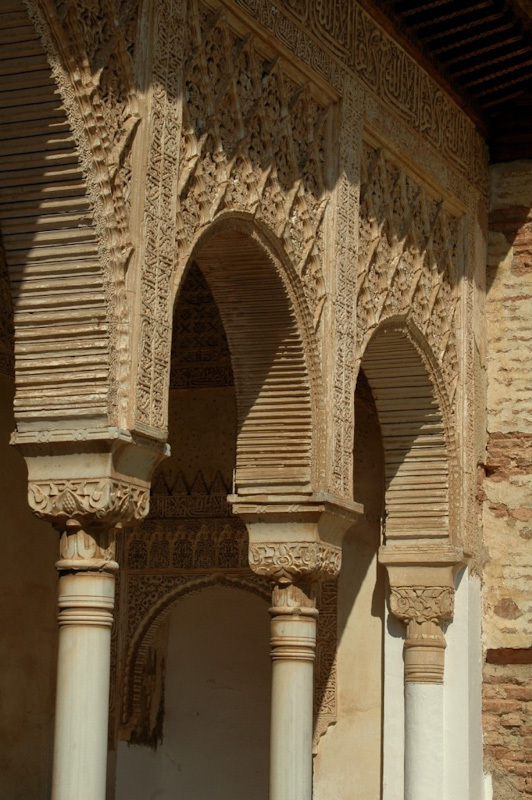 The Arab embellishment is a skillful combination of various styles and architectural elements. All fountains, gardens, patios, stairs, gates, towers, corridors, walkways and walls take shape of one harmonious composition. The Alhambra is one of the best preserved legacies of past civilizations. Nowadays also one of the most valuable world heritage sites. On the other side of the valley we discern the viewpoint Mirador de San Nicolás. Our friend Andrea is already waiting there for us as it turns out we are late. It’s only three hundred meters as the crow flies. ‘Should take us fifteen minutes to get there’ – I thought. Nothing could be more wrong that the assumption I just made. The streets are clogged, having no outlet and some require an additional authorization to pass. Like the one I have just turned into. The way through is hampered by a double stop sign, red traffic lights, a booth with a microphone and loudspeaker, a warning board, a huge hump for slowing down, a strengthened gate and as if that was not enough – two half-meter high cones emerging from the ground. There is no way to pass so many obstacles, we have to give up and try the other way. After strenuous efforts we arrive an hour later. Illuminated Alhambra and Granada skyline look fantastic by moonlight. Mirador de San Nicolás is a popular place for evening meetings. The remaining part of the evening is filled with a loud conversations in Spanish with the distinctive Andalusian accent. We drink local beer Alhambra with a view at the La Alhambra itself. Yet another magical evening. I arrive on Avenida Portugal right next to Plaza de España. Just in time, as across the road Fiesta de los Naciones is taking place. 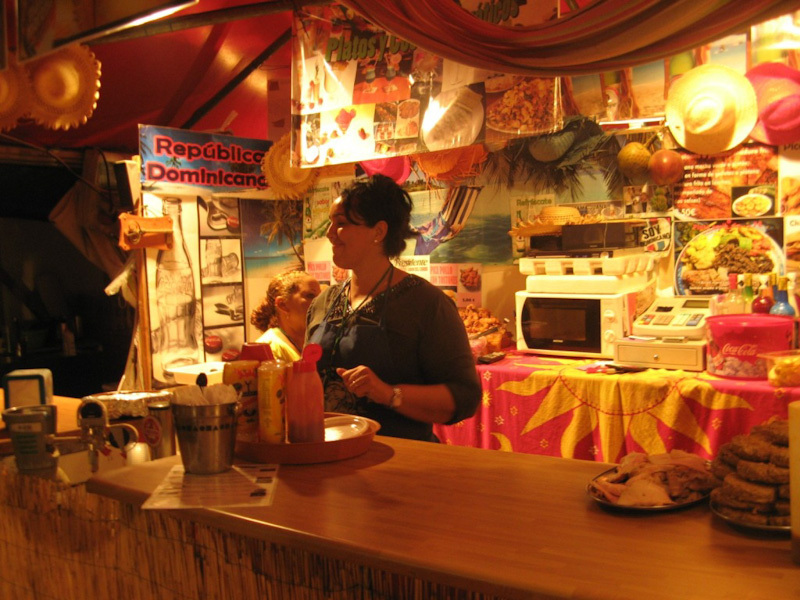 The event promotes the arts, local products and cuisine from various parts of the world. Most of which are Latin American countries. skewers of churrasquinho , Colombian and Venezuelan pastries arepas de chicharron, Dominican meat balls albóndigas and more locally, fried octopus, a delicacy of Galicia, Italian pizza and frog legs – as one could suspect, the French specialty. The atmosphere is filled with rhythmic Cuban music. It is a warm October evening. Only after midnight the temperature drops below 25 degrees Celsius. I’m going for the night longboarding session around the city. 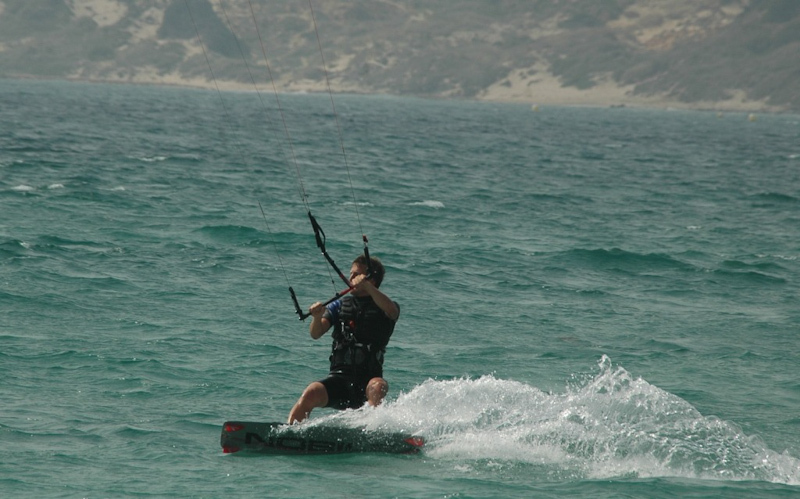 Seville is a great place for this type of activities. Avenida de San Fernando is a broad avenue with a smooth surface the quality of marble. The place is meant to be used jointly by pedestrians, cyclists, trams and longboarders, guys like me. Great place! Evening time the well lit buildings set you entranced with the variety of Seville architecture. At Puerta de Jerez I make a turn into Avenida de la Constitucion. I pass a museum to reach a spot at Plaza Nueva, right next to the city hall. I spend unforgettable moments of pumping, cruising and accelerating on polished marble. 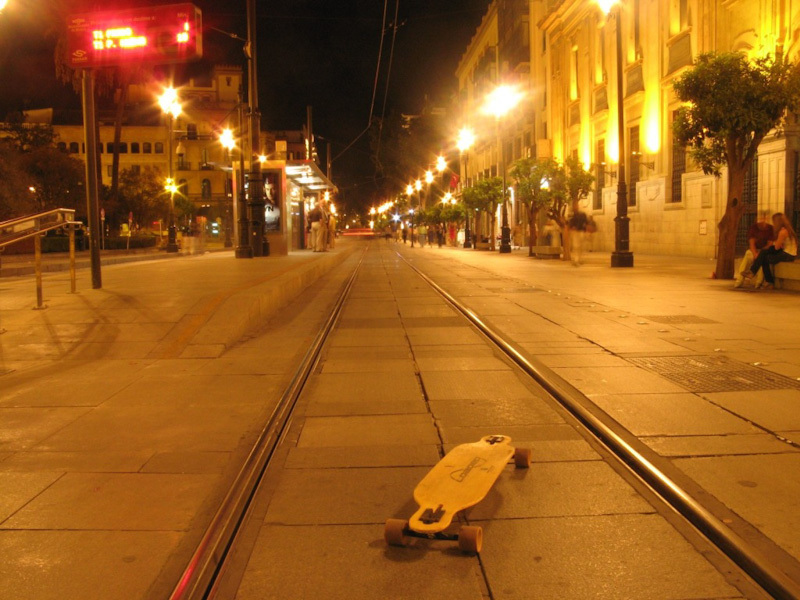 Seville deserves five longboarding stars for quality of pavements. I continue the tour along the river Guadalquivir. I keep strolling around the city on my longboard. "Should I stay a couple more days or should I go somewhere else?" The question comes to my mind an hour after midnight. Five minutes later I start the engine and move on to Portugal.